It’s Remembrance Day today. 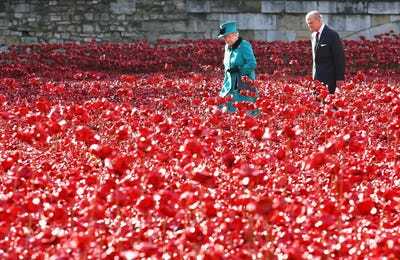 At 11am on November 11, 1918, the guns of the Great War finally fell silent, with a death toll of 10 million military personnel, including 61,513 Australians. 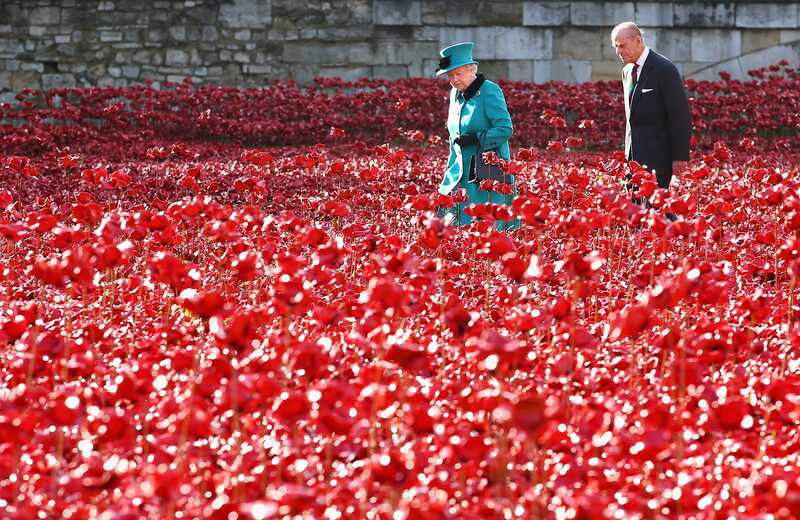 Armistice Day. For the past few months, the Tower of London has been paying a moving tribute to the fallen, with volunteers planting 888,246 ceramic, hand-made red poppies in the moat around the site – one for each of the British and Commonwealth servicemen and women who died during World War 1. 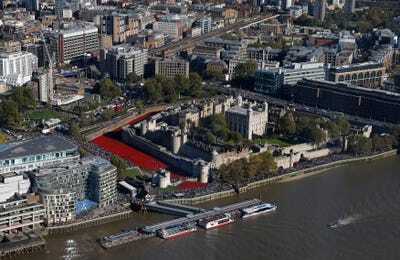 The installation, conceived by artist Paul Cummins, began on August 5, 100 years since the start of Britain’s engagement in WWI. At twilight daily, the names of 180 service people killed during WWI were read out, followed by the Last Post. The installation was completed a fortnight ago when two serving British soldiers planted the penultimate poppy, however the final poppy is being symbolically planted on Remembrance Day. 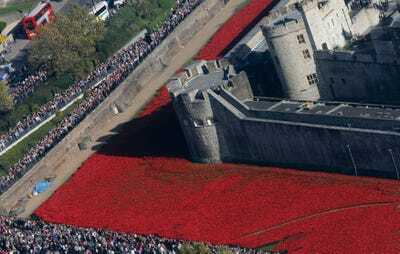 As it grew in size and surrounded the Tower’s grounds, this moving tribute has become a deserved tourism sensation, with Queen Elizabeth II visiting, along with millions of others. The ceramic poppies are being sold for £25 ($45) each to raise money for service charities.